This fun adventure captures the cultural uniqueness of Bhutan along with its natural beauty. The tour begins in Paro with tour of two fortresses and the Kichu Temple. The following morning the tour visits the Tiger’s Nest Monastery. The next day the tour travels to Haa, and begins the trek. The trail leads through a yak herder’s camp and to Sagala. 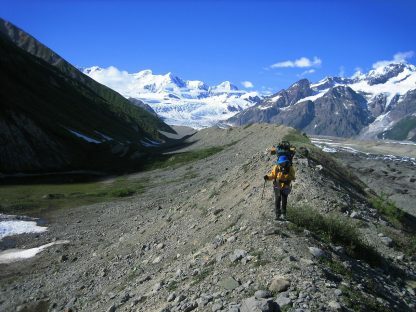 From Sagala the trail transverses forests, and meadows and eventually reaches Chelela Pass. The tour then travels into the lush tropical valley of Punakha. In Punakha the tour goes on a day hike to Chimi Temple, and concludes in Paro. The Chelela Trek and Cultural Tour is a fun adventure that captures the cultural uniqueness of Bhutan along with its natural beauty. The tour begins in Paro with tour of two fortresses and the Kichu Temple. The following morning the tour visits the Tiger’s Nest Monastery. The next day the tour travels to Haa, and begins the trek. The trail leads through a yak herder’s camp and to Sagala. 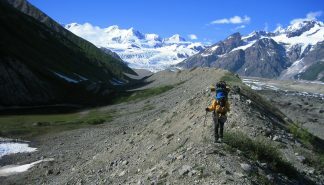 From Sagala the trail transverses forests, and meadows and eventually reaches Chelela Pass. The tour then travels into the lush tropical valley of Punakha. 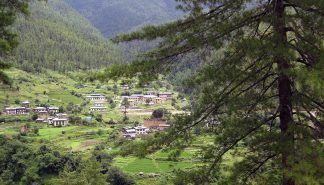 In Punakha the tour goes on a day hike to Chimi Temple, and concludes in Paro. This trip takes advantage of the rich and diverse landscape of Bhutan, while providing cultural tours. The Chelela Trek and Cultural Tour is a must for the avid trekker, and cultural enthusiasts. Day 01: Arrive and go sightseeing in Paro. 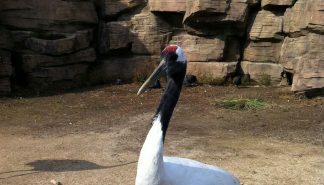 The tour begins with an introduction to Bhutan, and leads into the Black-necked Crane Festival, which was organized to raise awareness of the threatened black-necked crane. The celebration takes many forms, including dancing and singing. The tour will celebrate the festival in Gangtey with locals at the Gangtey Monastery. The Last Shangri-La Tour is an exciting adventure tour with treasures chests full of culture and tradition. The tour begins in Paro and quickly transfers to Thimphu. In Thimphu, the tour visits the Memorial Chorten Stupa, a mini-zoo, the National Institute of Traditional Medicine, a folk heritage museum and the Tashichho Fortress. The tour than transverses the Dochu La Pass and stops at the Chimi Lhakhang Temple on the way to Punakha. While in Punakha, the tour visits the Punakha Fortress and explores Gangtey Village, which is well known for its rock and slate carvings. The tour then travels to Paro to visit the Rinpung Fortress and Kichu Lhakhang Temple. The tour ends in Paro, but not before a gorgeous hike to the Tiger’s Nest Monastery. 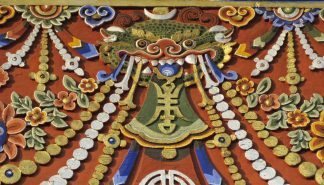 The Thunder Dragon Trek and Cultural Tour encompasses one of Bhutan’s most appealing treks with a tour of Bhutan’s finest cultural attractions. The adventure begins in Paro with tours of inspiring landmarks such as the Rinpung and Ta Fortresses, the Kichu Lhakhang Temple and the Tiger’s Nest Monastery. The adventure continues along the Druk Path, where trekkers can see Bhutan’s tallest mountain, Mount Gangkar Puensum. The trek also transverses Jimilang Tsho Lake and Dochula Pass, which features many memorial stupas along the trail. This trip is for anyone who has ever wanted to see the Tiger’s Nest Monastery, or visit a country so uniquely beautiful that it is unofficially named after a thunder storm.